For all those city dwellers who have been dreaming about luscious summer gardens to come during the long winter, it’s time to start your own urban garden! 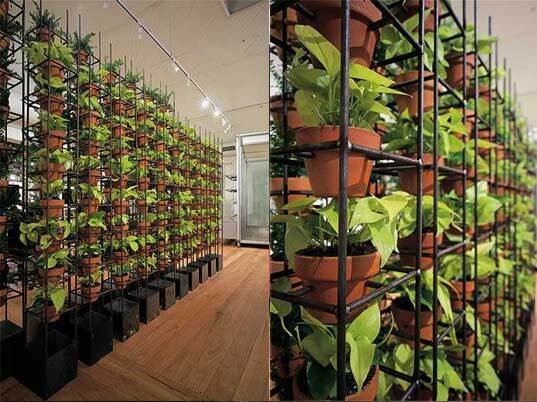 For those with budding green thumbs, urban gardening can be an intimidating prospect. To clarify the sometimes-mysterious process, we’ve put together a very brief how-to guide on starting a flourishing container garden replete with herbs, veggies, and flowers so that you can get a jump start on spring gardening. 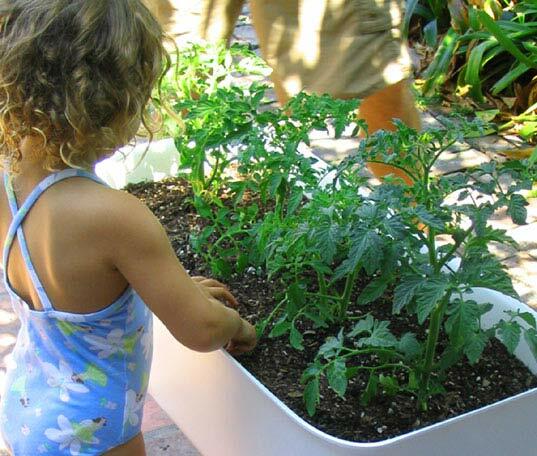 Container gardens can be planted in anything deep enough to support root growth (8-12 inches ideally), as long as you put some holes in the bottom for drainage (think pots, buckets, recycled kiddie pools). When choosing seeds, consider growing a bunch of herbs in a pot together. 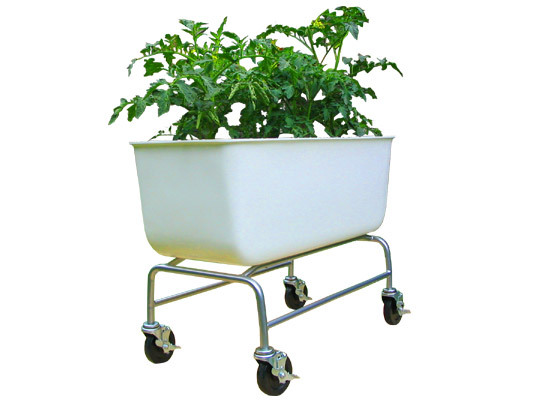 As for vegetables, almost everything will grow in a container. Leafy greens (chard, kale, collards) are one of the healthiest options with the most nutrients for your buck, but you can also try out tomatoes, lettuce, broccoli, cauliflower, peppers, carrots and onions. For a little color, calendula and johnny jump-ups (violas) can be planted next to the vegetables and their petals are delicious sprinkled over a salad. Fill your container with lightly-packed potting soil to about an inch below the rim and plant your seeds another half inch below the surface. Alternatively, buy baby plants from a nursery and re-pot into your containers. Water your garden and place it on a rooftop or sunny windowsill. Lettuce, peas, greens and the salad flowers can be placed outside mid-April; everything else should wait until mid-May. Remember that over-watering is the fastest and most common way to kill a plant – always let the soil dry out and then fill it up. A gardening newbie here. Have been building my own self-watering containers. Hoping to get a few of them out on my fire escape this weekend. Built the containers out of mostly recycled products. The pics are definitely inspiring. oh! my...please do NOT suggest people to place their containers along fire escapes. For all those city dwellers who have been dreaming about luscious summer gardens to come during the long winter, it's time to start your own urban garden! 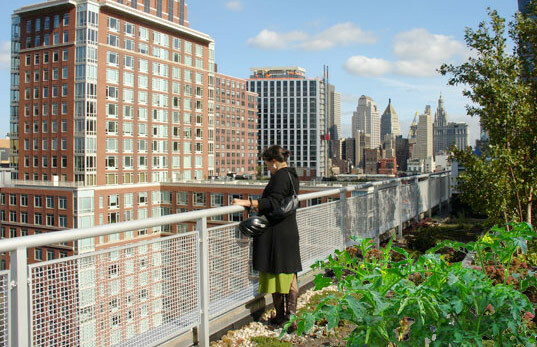 For those with budding green thumbs, urban gardening can be an intimidating prospect. To clarify the sometimes-mysterious process, we’ve put together a very brief how-to guide on starting a flourishing container garden replete with herbs, veggies, and flowers so that you can get a jump start on spring gardening.